The company hopes to make things right again with Elaine Rankin of Vero Beach, FL but admits that, "knowing her," it could take years. 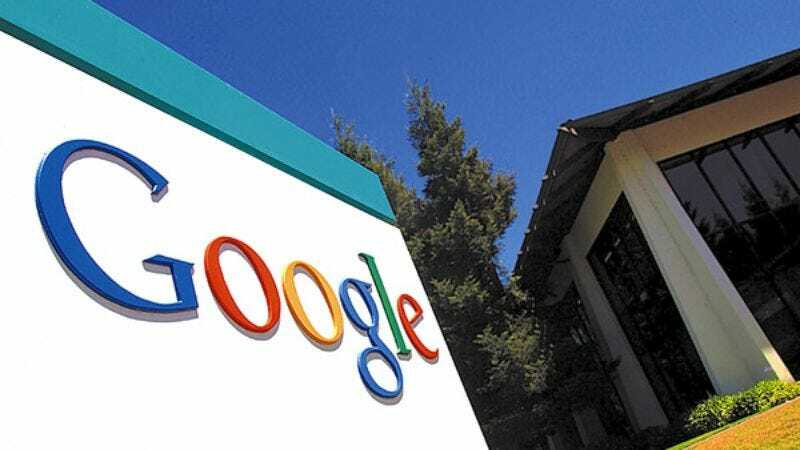 MOUNTAIN VIEW, CA—Responding to recent public outcries over its handling of private data, search giant Google offered a wide-ranging and eerily well-informed apology to its millions of users Monday. "We would like to extend our deepest apologies to each and every one of you," announced CEO Eric Schmidt, speaking from the company's Googleplex headquarters. "Clearly there have been some privacy concerns as of late, and judging by some of the search terms we've seen, along with the tens of thousands of personal e-mail exchanges and Google Chat conversations we've carefully examined, it looks as though it might be a while before we regain your trust." Google expressed regret to some of its third-generation Irish-American users on Smithwood between Barlow and Lake. Added Schmidt, "Whether you're Michael Paulson who lives at 3425 Longview Terrace and makes $86,400 a year, or Jessica Goldblatt from Lynnwood, WA, who already has well-established trust issues, we at Google would just like to say how very, truly sorry we are." Schmidt's apology appeared suddenly at 9 a.m. Monday on Google's homepage, Chrome browser, and YouTube, as well as on every single Android-enabled cell phone, and sought to reassure Americans that the company would take all necessary steps to keep confidential information, from Social Security numbers to Gonorrhea test results, absolutely safe. "Either that, or hunting down that blond coworker of his, Samantha, whose Picasa photos he stares at every night," Brin added. While admitting that security measures need to improve, Google officials also claimed that everyone makes mistakes, be it storing confidential data indefinitely or, say, "having a few too many drinks on the evening of Jan. 23, driving home in a haze, striking a pedestrian on the corner of Mercer and Cavendish, speeding off, and then desperately searching online for hit and run laws, right, Karen?" "Americans have every right to be angry at us," Google spokesperson Janet Kemper told reporters. "Though perhaps Dale Gilbert should just take a few deep breaths and go sit in his car and relax, like they tell him to do at the anger management classes he attends over at St. Francis Church every Tuesday night." "Breathe in, breathe out," Kemper added. "We wouldn't want you to have another incident, Dale. Not when you've been doing so well." In an effort to make up for years of alarmingly invasive service, Google will automatically add $50 to all American bank accounts as a gesture of goodwill. The company has also encouraged feedback, explaining that users can type any concerns they may still have into any open browser window or, if they are members of Google Voice, "simply speak directly into [their] phones right now." Either way, the company said, "We'll know." So far, Google users across the country have responded cautiously to the company's public admission of wrongdoing, with some claiming they will be careful not to reveal any personal information from now on, and others ripping up their credit cards, unplugging all electronic devices from their outlets, and locking themselves in their bathrooms away from any cameras, keyboards, satellite dishes, or cell phones. "I forgive Google, I forgive Google, I forgive Google," said Ohio resident Darla Mackenzie, sitting on the edge of her bathtub, her head in her hands. "Please, please, don't tell Jonathan about the things I have done."